This launch takes extra to a whole new level. 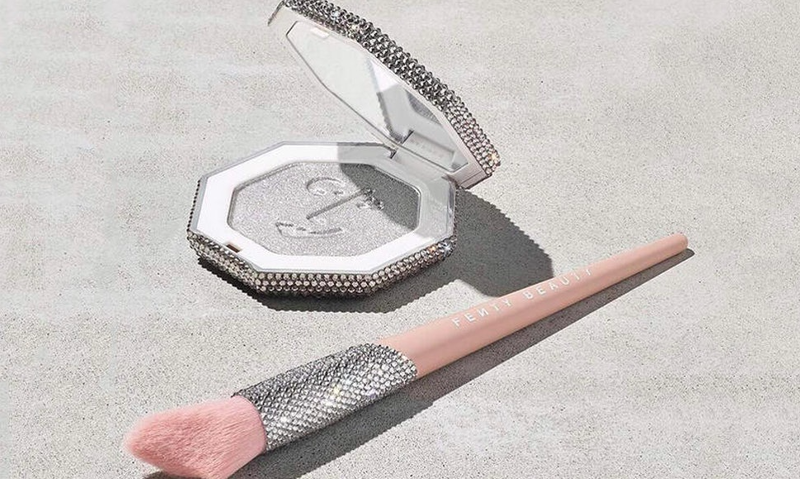 Fonts Beauty just launched a limited-edition packaging of Trophy Wife’s platinum twin sister - the Diamond Ball-Out Killawatt Highlighter; oh and it’s covered in Swarovski crystals taking your highlighter to next level. This boujie highlighter is sold in a vault with the Cheek-Hugging Highlight Brush 120, that is also blinged out. The Killawatt Bling Vault is sold for $350 - expensive, we know – but, 100% of the profits go to a great cause. Rihanna launched the Diamond Ball-Out highlighter initially in July 2018 to correlate with the Diamond Ball event she hosts to raise funds for the Clara Lionel Foundation. Rihanna created this non-profit organization to help the education, and health systems, and emergency response programs globally, in communities with high poverty. Each crystal on the highlighter and brush are expertly applied by hand and perfect for the holiday season. The compact looks great, feels great, and is oh so wonderfully extra, but only 10 of these beauties were made and unfortunately, sold-out within minutes. Hopefully, Fenty will bring back the Killawatt Bling Vault for round 2. You can still get your hands on the original Diamond Ball-Out Killawatt highlighter. It doesn’t just have to be for your cheeks either. You can use the silver shade to add to your fire eye and lip looks for the holidays where metallic is literally, everywhere.